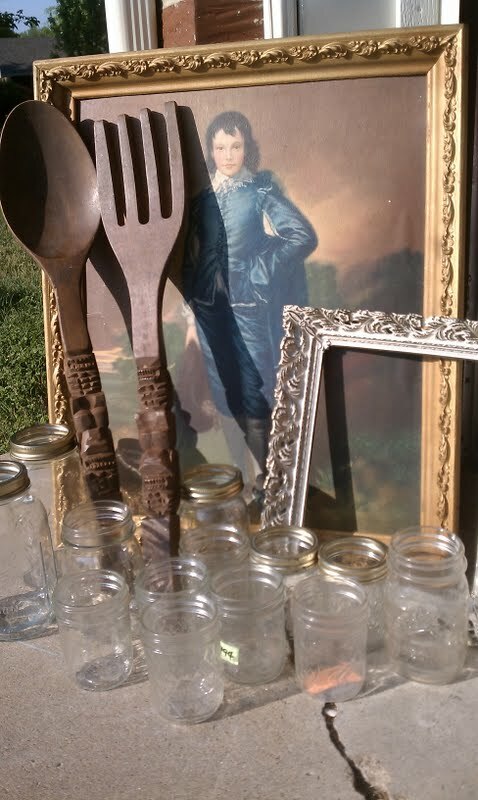 Some nice solid frames, kitchen wall accessories, a vintage globe, matching lamps (that work! 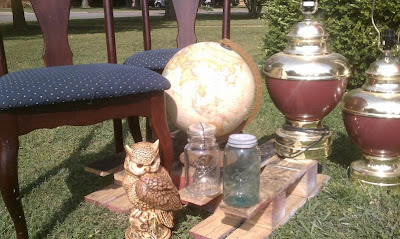 ), a ceramic owl, and a few mason jars for the Swallows/Craft wedding. I admire your work as well! Thank you so much Kristin!! What a great haul. Don't you just love coming home with a load like this? I think the frames are my favorites. Love it!! The junkin gods were on my side! I painted the frames yesterday- they both turned out wonderful!